Now you can import georeferenced images and terrain meshes exactly as you see them in them in Google Earth. If you have placemarks, polygons, image overlays or routes in Google Earth they will appear in the image imported to your CAD application. You will have the ability to create a terrain configuration mesh and get contour lines, profiles and sections. The CAD-Earth Demo Version has a limit of 500 points when importing a terrain mesh from Google Earth™. Only 10 objects can be imported to or exported to Google Earth™. Also, all images imported to or exported to Google Earth™ have ‘CAD-Earth Demo Version’ text watermark lines. The CAD-Earth Registered Version can process any number of points and objects and the images don’t have text watermark lines. 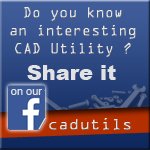 If an AutoCAD drawing is already georeferenced you will not have to georeference it again using CAD-Earth commands. You will no longer have to specify the grid origin point and distance between rows and columns to create a mesh. Now you just have to specify the mesh resolution (normal, medium, high or highest) and optionally the grid rotation when importing terrain meshes from Google Earth. Ability to preview position of selected drawing entities in a map when selecting a coordinate system to georeference a drawing. Drawing entities can be moved, scaled or rotated in the map until they match the site. If you have image files with the corresponding world file containing spatial data information you can accurately place them in the drawing automatically applying XY scale and translation transformations. Get contour lines, profiles and sections from Google Earth™ (Plus version). You can create a terrain configuration mesh inside an existing closed polyline or along a polyline path calculating point elevations from Google Earth™. By specifying the origin point, rotation angle and distance between rows and columns, the mesh density and precision can be adjusted. The resulting mesh can be processed to obtain contour lines, dynamic profile and section drawings, complete with annotations. Users can export CAD drawings to Google Earth™ as image overlays. Those image captures can be in full color, grayscale or B&W, and are compatible as major image formats (BMP, JPEG, TIFF, PNG, GIF). Background color can be completely transparent or customized to your desired color. Screenshots can be also taken in sections to increase the quality of the final image resolution. Google Earth™ Free or Pro version 5 or newer, and also the Google Earth™ Plug-in must be installed in your web browser.